Maldives National Defence Force (MNDF) has held the 22nd photo exhibition in Mahibadhoo in Alifu Dhaalu Atoll in celebrations of Victory Day. 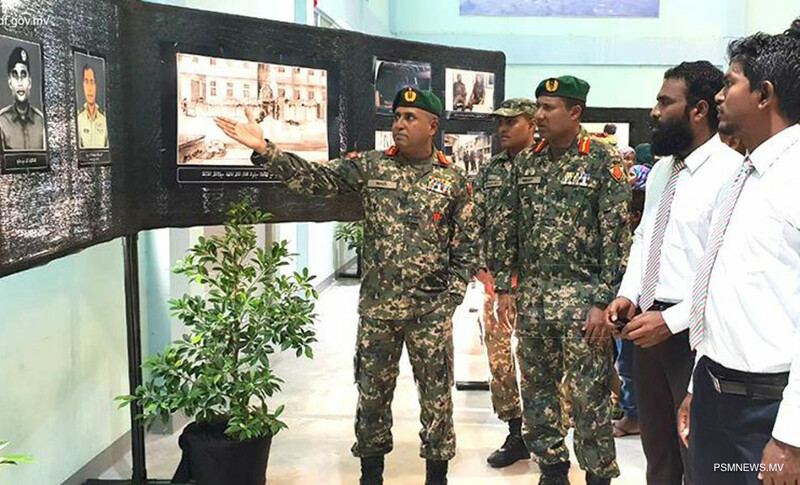 The photo exhibition held at Mahibadhoo School was inaugurated by Commanding Officer of MNDF College of Defence and Security Studies Brigadier General Vaais Waheed. The photo exhibition showcased the memories of November 3, pictures and sketches of the heroes in addition to other historical events. Moreover, along with the photo exhibition, a special evening was held for children, giving them the chance to take pictures in military attires and with weapons. Families were also given the opportunity to visit a coast guard vessel.